Did you ever wish you could get feedback from your friends on a podcast episode before it was released to Apple Podcasts? Or maybe you want to add audio clips from other podcasters before your episode is finalized? You can do that and more by posting an Anchor Only episode that can only be listened to by users in the Anchor app or on your Anchor podcast show webpage. Take a listen to this episode to see how and why you should produce an Anchor Only Episode to get feedback from the community on your work-in-progress podcast. The key to creating an Anchor Only episode is using the desktop browser to finalize things before you hit publish. From the desktop you will see this right before you publish. 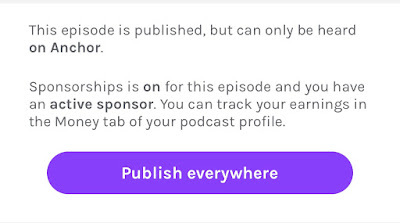 Notice the by default, your episode is set to "Publish everywhere". All you need to do is toggle off this option (remember this only works on desktop, and it is not available from mobile). "This episode is published, but can only be heard on Anchor." Here's how the message looks when you login to the app and open the episode. But, Why Would You Want an Anchor Only Episode? Here are a few examples of how to use an Anchor Only episode. Can you think of other ways to use an Anchor Only Episode? When you "finalize" an episode and publish it to all of the other podcast directories (like Apple Podcasts, Google Podcasts, Pocket Casts, etc.) your current subscribers will download the file from your RSS feed. If you add any additional content to your episode they will never know! Only the newer subscribers from after you added the last piece of content forward will hear the episode in it's entirety. Now of course, I'm not suggesting that you change your workflow. I just wanted you to know that whenever your current episode is a work-in-progress, think about logging into your account from the desktop browser and publish to Anchor Only! For more Anchor tutorials, click here to checkout this playlist on YouTube. Enjoy this new tutorial about Recording Directly Into The Web Desktop Dashboard - I have included the Episode text description and the embedding podcast episode from @AnchorTalk Podcast With Dr. Dan. Login at Anchor.fm to the Web Dashboard / Click on "New Episodes" / Click Record on the left. Record with a USB computer mic or click on the link to record on your mobile - you will receive a notification on your phone - click it and record segment - the recording magically appears on your desktop / Update the description of the segment (defaults to the current date) / Select the + sign to add it to the episode builder / Record other segments or add from Voice messages, upload from your computer, transitions or retrieve from your history - Select Save Episode / Type in the Episode Name and Description / You have the option to upload an episode specific custom image / Publish Episode or click on "Advanced Publish Settings" to save Just on Anchor or "Everywhere" (pushing it to a podcast) / Click on the drop down arrow at the very bottom for two more options - "Save As Draft" or "Schedule Later" / then Publish Episode - Please Call-In with your questions and feedback @AnchorTalk - Dr Dan. Each Saturday at 3PM EST, Kevin Touch and I host a Record with Friends for brand new members of Anchor. We discuss their experiences during the first few days of being on Anchor and through their eyes, we can share with others who may be feeling and dealing with the same. We field questions and answer them on the spot. On this first call of the 2018 series, Uncle Mike shares his story, as we learn that English is his 2nd Language. We discussed the fact that no matter what, our mission here is to share our purpose with others, and we found encouragement through our conversation to do just that. Share with us now the magic of Anchor Audio and the Record with Friends connection. Starting a podcast has been on your to-do list for ages right? People always tell me that one of the things that prevents them from starting a podcast is the cost. Well what if I told you that you could start a podcast for free. 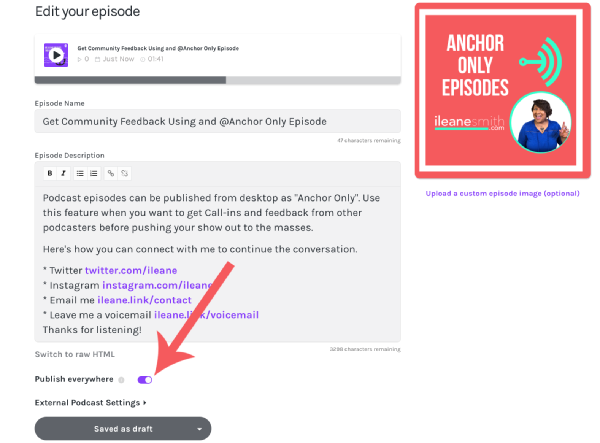 Yes, that's right, all you need is an idea and a smart phone and you can sign up for free podcast hosting from Anchor.fm. Watch this short video to see how easy it is for you to start a podcast fast! The next thing you might be worried about when it comes to your podcast is the technology. Or maybe you think that you need a lot of equipment to start your podcast, but trust me you really don't. 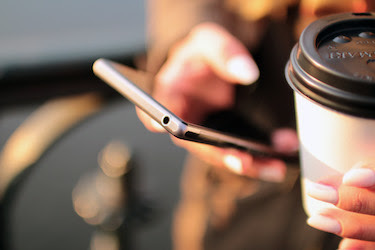 All you need is your Android phone or iPhone and you are good to go. So grab your phone and let's get started with your brand new podcast. 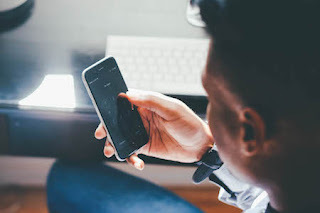 Don't let the tech get you down, because you can rest assured that you'll be able to master the tech easily with all the free podcasting resources here on Anchor Boot Camps. This site features tutorials from Dr. Dan Davidson, Avie Uniglicht and your's truly Ileane Smith. Together we have years of experience with teaching and training people just like you the craft of podcasting on Anchor and a whole lot more. Anchor Boot Camps - The companion Facebook Group to this website and blog. Share any questions or ideas you have about the Anchor app. Blog posts from this site will be published in this group. AnchorsAwave - The original Anchor Tech Facebook Group by Avie Uniglicht. This group is great for general Anchor discussions and tips moderated by Avie (@AskAvie) and for advanced techies and geeks! In your haste to become a podcaster, you may have neglected to fill out your Anchor profile in it's entirety. Maybe you added your profile pic already, but there are a few other features of your profile that you don't want to overlook! After all, your Anchor profile says a lot about you and it can be the key to the growth of your Anchor Channel. You just launched your very first Anchor station and you are ready to turn your segments into a podcast. This is so exciting! You have always wanted to have your own podcast and Anchor makes it super easy to get your podcast up and running and listed on iTunes! After all, your Anchor profile says a lot about you and it can be the key to the growth of your Anchor Channel. When people are on Anchor and they are tying to decide which stations they need to favorite, you might only have one shot at winning them over and convincing them to favorite your station. 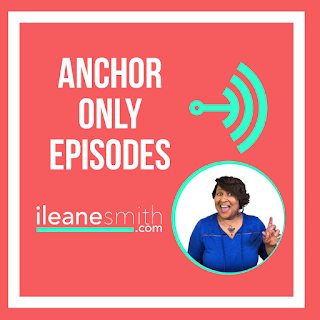 With these tips you can be sure that people know what to expect from your station as well as how they can connect with you on other platforms above and beyond your Anchor podcast. In the video above I'll walk you through each section and help you set up a winning Anchor profile. 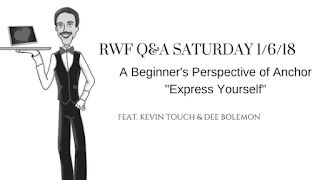 Each Saturday at 3PM EST, Kevin Touch and I host a Record with Friends for brand new members of Anchor. We discuss their experiences during the first few days of being on Anchor and through their eyes, we can share with others who may be feeling and dealing with the same. We field questions and answer them on the spot. On this final call of the 2017 series, Dee Bolemon describes herself as an "Introvert" and she initially thought that this might be a hindrance to her participation in a podcasting venue such as Anchor. We discussed it and found a way to learn how to overcome this "perceived" notion that many of us experience. Share with us now the magic of Anchor Audio and the Record with Friends connection. Each Saturday at 3PM EST, Kevin Touch and I host a Record with Friends for brand new members of Anchor. We discuss their experiences during the first few days of being on Anchor and through their eyes, we can share with others who may be feeling and dealing with the same. We field questions and answer them on the spot. On this call of the series, Josh O'Mally of O'Mally Adventures discovers an "Easy Way" to accomplish his Youtube channel sharing in Anchor. We've found that through conversation, many unexpected things can happen and we're able to capture and learn from these special moments through the magic of Anchor Audio and Record with Friends.